Video: RIM maximising its tablet appeal? 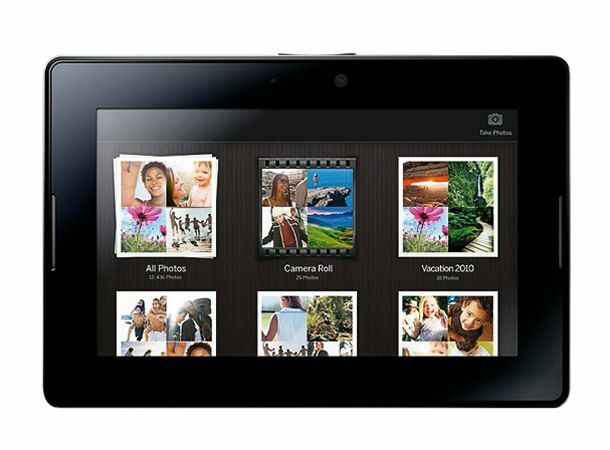 The BlackBerry PlayBook tablet has been filmed running Android applications, despite being announced with its own proprietary QNX operating system. In the video which you can see below, the PlayBook is being demonstrated by a RIM representative during Mobile World Congress, who makes the interesting Google Android OS support reveal. Talk of the PlayBook getting Android apps filtered through earlier this month, and this seems to be the most concrete evidence yet of what looks like a sensible business move from the guys at RIM. Opening its application doors to an already growing Android Market, is likely to increase the appeal of the device which is strongly tipped to give the iPad (and the iPad 2) a run for its money in 2011. A UK release date for the BlackBerry PlayBook has yet to be confirmed, despite the BlackBerry PlayBook 4G which is an almost identical device plus 4G support, hitting US stores in the summer. You can check out the BlackBerry PlayBook video in question below.